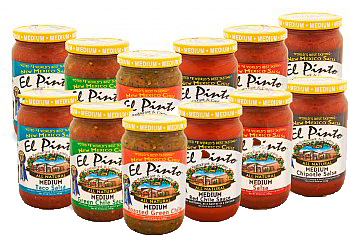 Mixed Sampler Pack of El Pinto's Medium Products. Party Pack for chips of El Pinto's Medium Products. Save on this special bundle to try each one of our products in a medium heat that are perfect for chips and dip. Each product has a unique flavor and packs different experience, find your favorite! Chill and serve El Pinto Medium Salsa for best flavor. Great on any meat, eggs, fish or chips! 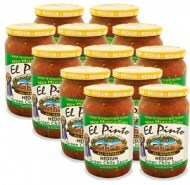 For the Flavor of New Mexico, it's got to be World Famous El Pinto Medium Salsa!